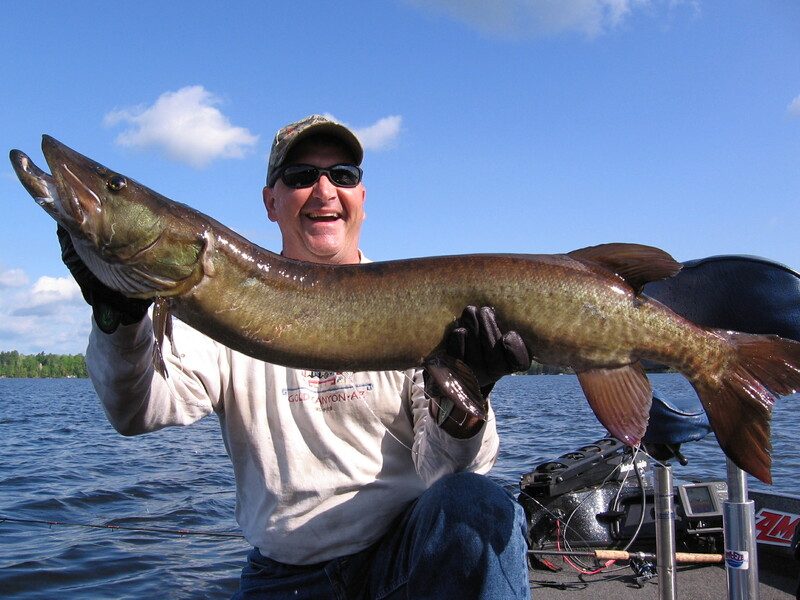 To the northern range musky angler fishing with live bait is nothing new, in fact goes back many generations and draws many northerners to their favorite muskies waters each fall for maybe their most exciting muskie trip of the year. However for most southern muskie anglers it’s just something they’ve read about but just never been introduced too. However times are changing down south. Over the past few years my colleagues, clients and I have enjoyed some terrific late fall musky action with a live bait presentation which we’ve learned truly seems to attract the big girls here in southern waters as well. But we’ve also found that a live bait presentation can work on our pre and post spawn muskies too. First off let me be honest up until the last several years I have not been much of a fan on live bait fishing for muskies. Let me explain. My only knowledge or experiences with live bait came from over 20 years ago when harvesting muskies in the south was common place. In the late eighties I witnessed and participated in still fishing for muskies with live bait and like the old days up north most all fish didn’t survive. A few years later after realizing that catch and release was on the forefront in the future success of our southern muskie waters I gave up the practice. To even more to enforce my opinions after taking my guiding career up north where I found numerous large dead muskies each year with sucker rigs hanging from their jaws I became a strictly artificial bait muskie angler. Now many years later I have learned from reading Musky Hunter Magazine that there are safe ways to use live bait in the pursuit of trophy muskies and have added this old time technique to my client’s arsenal. Over the past several years as our Kentucky fish get bigger and bigger most southern anglers have noticed just how often our big muskies feed on large carp and suckers, this has opened the door for larger lures as well as a larger live bait presentation. From spring and fall southern muskies become vulnerable to live bait fisherman, I’ll try to explain just what works down south. Not until late fall does the southern water cool enough to keep your suckers alive, this seems to happen early to mid November when water temps drop into the fifties. The most productive size offerings seem to be 12 to 18 inches leaning on the high side, quick strike rigs are a must. I like those from Stealth Tackle they work great and I find very easy to use. On most all southern waters the use of multiple rods is legal; this opens many doors in your live bait presentation. Casting artificial lures while drifting live bait is the preferred method and the multiple rods allows you to present your live offerings in many different ways. Many times your casting retrieve leads the fish back to the boat to the enticement of your live bait rig. These multiple rods allow us to present our live offerings at several different water depths and distances from the cover. I find most of my fall success soaking our suckers just off the milfoil edge; milfoil has a gradual slop to its line near deeper water. This allows me to run one sucker just over the shortest weeds and allows me to run another off the deeper side of the boat just off the edge. Many fish taken under this presentation follow lures to the boat and then turn on the sucker, I feel your artificial lure selection is just as important as hanging your suckers. Bulldawgs, Medusas and Sledge’s are my favorite attractor baits; these lures seem to get the most attention during this period and are great producers on their own as well. Water color on southern reservoirs can change quickly and often, when poor water clarity hits us in the fall it can make for some very tough fishing even much tougher than it does in the early season. However the use of live bait under poor visibility conditions can play to your advantage under certain circumstances. Heavy rains cause’s severe runoffs in most all southern reservoirs which turns our waters to almost an over creamed coffee color but after many days of investigation with my Aqua View underwater camera I’ve found that many times that muddy water is only in the first few feet from the surface. Determining the depth of that color and fishing just below it can make the difference in success or not on that given day. This can also be true turning turnover and that ugly period when our weeds start to die during our dog days of November when extremely hot air temps set in which can turn our water dark even brackish looking at times. Under these dirty water conditions I like to add a blade to my live bait presentation. Casting and swimming live creek chubs or small suckers has grown more popular over the years as a productive spring presentation for pre and post spawn muskies on southern reservoirs. Many anglers take advantage of this early season technique before the weed growth gets to high and find a good deal of success. This live presentation early in the year can be a very consistent early season pattern. Remember a slow stop and start retrieve can let your bait swim and look much more natural. This can also work floated behind your boat on a bobber while casting, yet a casting presentation my keep your bait presented in the strike zones longer. Here your equipment choice is crucial use your lighter rods with a fast tip like those we toss our rattle baits with I personally like the Lamiglas LGM 80 H, it has a fast tip where I can feel the bait work. Remember to use a downsized leader, single hook and 50-65 lb line. Why not a treble? Treble hooks on these smaller fish seem to effect the action. This downsized rig helps the natural movement of the bait do its thing. You’ll find success working tight to shore on flats and the backs of the creek arms. Using your electric motor to slow troll live offerings can also be effective on early season muskies. My colleague and friend Gregg Thomas over the past few springs has shared a presentation to many of use on Cave Run Lake that has been found to consistently work, I’ll pass it on to you. 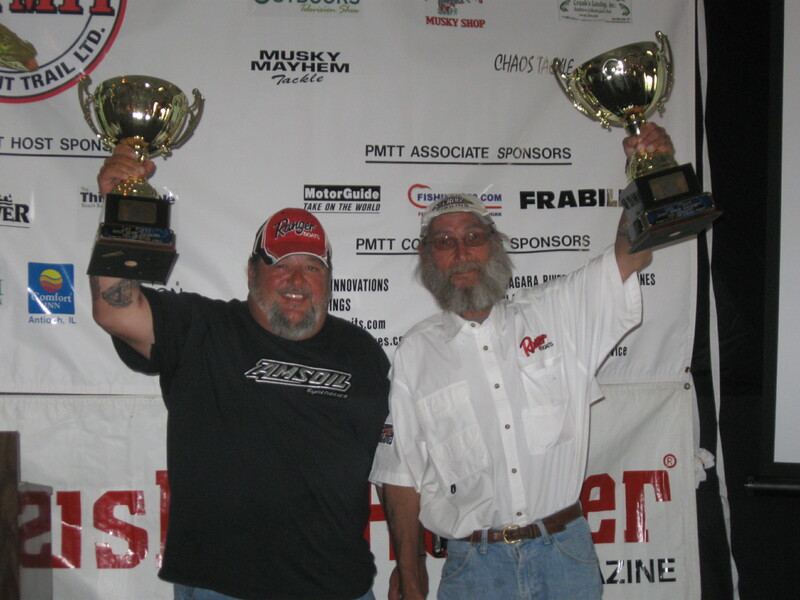 Gregg expresses that live bait adds another feather in your cap of ideas to consistently catch muskies. He says for down south the fall is an obvious choice to use live bait. It is not much different than any pattern that you would find in any of the northern ranges of musky fishing but the one thing that he has started doing is implementing the benefits of live bait on early post spawn muskies. It is during this time of year that we as anglers seem to struggle, the time of year when the fish are not actively chasing the normal fare of artificial lures. Gregg’s approach for these fish during this period that usually occurs during April in the southern waters is to incorporate the help of some smaller bait fish rather then the larger suckers. He has had great success using live shad and smaller bluegills to catch these otherwise none feeding fish. The setup is easy. He uses standard live bait rod (solid fiberglass or a composite) and couple that with components (hooks and leaders). When choosing hooks, he has learned using smaller 2/0 to 3/0 thin wire treble hooks that are attached to the nose of the bait. This is key, you want to put the hook or snap through the baits nostrils; not through the lips. The hook wear on the baits lips is too much in these smaller baitfish. Your bait will live half as long if you attach it by the lips. The leader is generally 90# Tyger leader. This stuff is great. These crimpless Tyger leaders will eliminate the otherwise weak connection. It is a 49 strand flexible steal wire that can be tied just like mono. You usually want as little extra weight on the line as possible so direct tie the hook one end and use a “Double Uni Knot” to attach the leader to the line. The presentation is similar to those in the fall. Gregg has found an awesome product for this presentation in the use of the smaller “DaulFin Planer Boards.” These boards are small, light and made of a type of heavy foam. Light is the key; when using smaller baits you don’t want nothing really heavy that the fish can feel the weight of a bigger board and they are more sensitive to the resistance that a regular board would have. With the use of the board set up a trolling pass with your electric trolling motor down a shoreline with two boards out the same side of the boat towards the shore. On both boards run the bait any where from 5 to 25 feet back with no weight. The no weight is crucial because the bait will be swimming in shallow water and you don’t want it dragging the bottom becoming snagged. It also puts no resistance on the bait helping it live longer and swim more natural. It just seems to work better. Then run one or two lines straight off the back of the boat. On these lines run a small amount of weight generally less than a ounce, again to keep the bait down but not to cause too much struggle. Then slowly troll down the shoreline at 0.5 to 1 mph. This seems to be the most effective. The last part that I want to add is the most important and that is the hook set. As soon as the fish hits set. Remember you are using smaller baits and the fish runs a greater risk of getting hooked deep. When you see the strike pick up the rod, reel down and set quickly. You will be surprised at how high a percentage of hook ups you will have. Remember live bait is a very effective way to catch fish but you need to do it responsible. For many years the readers of Musky Hunter Magazine have learned the importance of using the prime moon phases to our advantage and when fishing with live bait it just might become more important. I’ve found that periods like moonrise, moonset and sunset can almost always be the best time, moving multiple fish during these phases are very high percentage times during this late season feed up stage. One thing about muskie fishing I have learned for sure is there are a zillion ways to catch these fish, many I haven’t yet learned. Adding these tactics I have mentioned will certainly up your odds on any given day. Live bait whether spring or fall just might be an extra presentation in putting you closer to your next trophy muskie south of the Mason Dixon line. 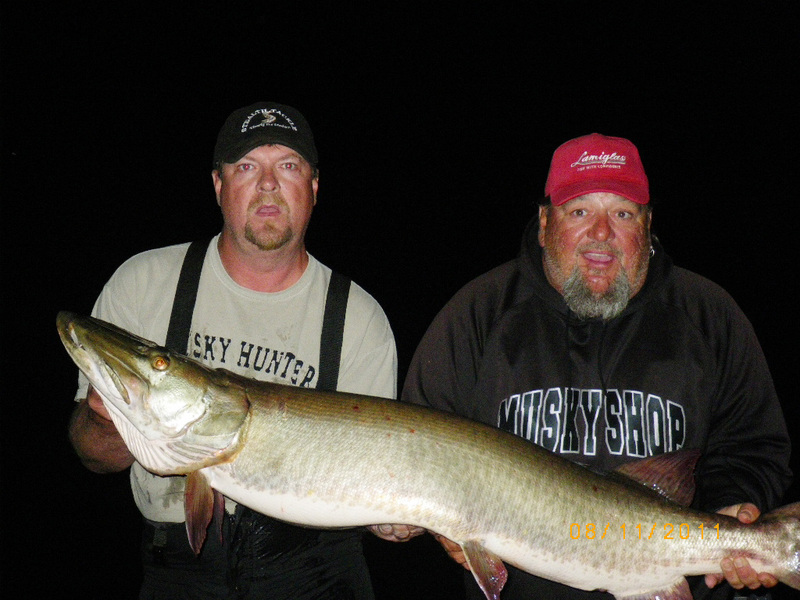 Catching muskies with any degree of consistency or predictability is difficult. But catching a muskie does not need to be as difficult as its reputation claims. Using a few basic live-baiting techniques, you should be able to tame one of these toothy critters on any southern waters.